Through a generous grant from Mr. & Mrs. P.A. Woodward’s Foundation, Woodward Library will create a permanent exhibit of its medical artifacts. More than 300 historic scientific and medical instruments, mostly donated over the years, will find new homes in high-quality display cases. The exhibit will honour the past while inspiring future medical students and their research. 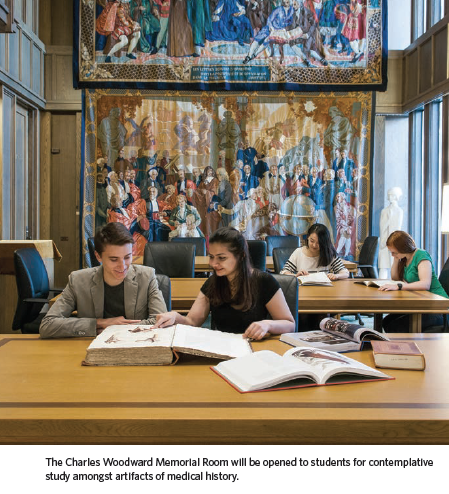 Rehousing of the artifacts will also allow for full access to the Charles Woodward Memorial Room by students and researchers, which was previously closed off to protect the rare items stored inside. The exhibit is expected to be ready in late 2015/early 2016.